Please note: Due to a last minute scheduling issue, our speaker for the MLK assembly on Monday cannot be here at 8:30 a.m. As a result we will be switching B period with the All-School Assembly time slot. As they were both 50 minute slots, there are no other adjustments necessary. Sorry for any inconvenience this may cause. The schedule for Monday is below and the switch is shown in RED. A head dietician from Sage will be coming to campus to address the Upper School students and faculty on nutritional needs and the choices available to them. In addition, she will meet with dorms on the evening of Oct. 9 and will be available until noon on Friday for other individuals and groups that would like to meet with her. 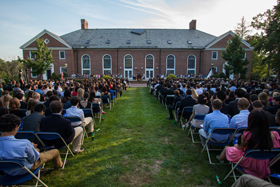 The Williston Northampton School will ring in its 173rd year with a Convocation ceremony on Monday, September 16 at 5:00 p.m. This year’s distinguished speaker, Northwestern District Attorney David E. Sullivan will address the crowd of honored guests, students, faculty and staff, community members, and friends of the school. Mr. Sullivan is the parent of two Williston graduates. Mr. Sullivan was elected to the Northwestern District Attorney’s Office in November 2010 and began his term in January of the following year. He has been an attorney for more than 25 years, serving 17 years as a trial attorney and advocate. He has handled thousands of criminal and civil cases and tried cases in Superior, District, Juvenile, and Military courts. The annual Senior Dinner will be held after the ceremony in the Birch Dining Commons where guest speaker Sara Delano Collins ’98 will address the senior class and faculty. Ms. Collins graduated from the University of Denver and is now a Senior Product Management Consultant at File & ServeXpress, a division of LexisNexis. Happy New Year and welcome back! We will begin tomorrow’s day with Assembly in the Chapel at 8:30 am in advisory seating. Please email me this evening by 8 pm if you would like to make an announcement or presentation at tomorrow’s assembly. 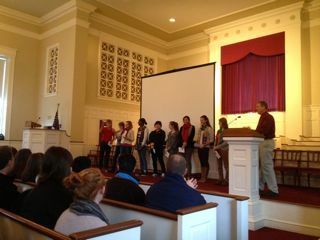 Director of Athletics Mark Conroy announced the following highlights and individual award winners from the nine fall teams at Upper School Assembly today. The award winners were also recognized during fall sports team night on November 16. Here are the Minutes for the last student council meeting! NEXT MEETING: Tuesday, October 23, 6:30 p.m.
At least 10 students will travel. We are currently holding air space for as many as 14 students. Two teachers/adults will go from Williston, and all trip costs for these two adults will be fully subsidized. Global Routes will provide a leader for your group. This leader will travel to Costa Rica in advance of the group to make final arrangements and will accompany the group throughout its entire stay, acting as liaison and group logistician. Additionally, this leader will participate in group activities per your preferences. All costs from arrival in-country through departure with the exception of any applicable airport departure taxes are included, i.e. 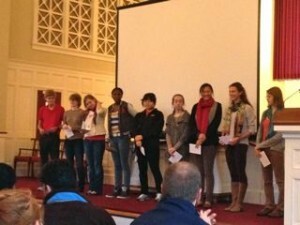 all meals, lodging, transportation, tips, program activities, etc. For more information, contact Language Department Head Nat Simpson. 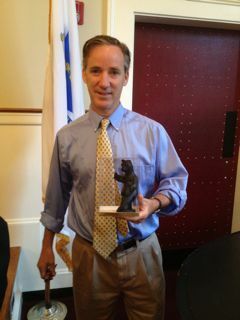 At all-school assembly, Head of School Robert W. Hill III was presented with a small bear in recognition of the school’s “Black Bear” sponsorship of the 2012 Bear Fest. Bearfest is now over, but was a great example of how we engage in mutually beneficial activities between the school and the town of Easthampton. Williston’s sponsorship of the event is crucial to seeing a full celebration of the arts in our broader community. Certainly, Natania Hume’s incredible bear—“Winter’s Lament”—deserves widespread recognition. Brett Fellowes’ (2012) “Bear by Design” will soon be available for all to see in Reed. With Easthampton now considering becoming a cultural center, this is an area of distinction for us.